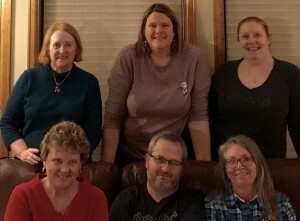 November 1988 marked the start of a new surgical assisting company in Denver, Colorado. 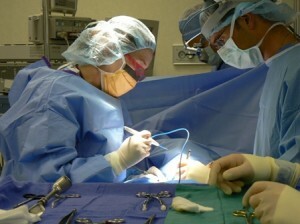 The main mission statement was to provide the most well trained surgical assistants to a select group of surgeons, to continue to educate these surgical assistants in the newest of techniques, and to promote better patient care through collaboration between the surgeon, the assistant, and the rest of the surgical team. Freelance Assistants Inc consists of 5 surgical assistants and an office manager who manages the scheduling and coordination of the various assistants. The surgical assistants come from various educational preparations for the role, but they are all certified by their respective organizations in the first assistant role. 1) CRNFA – Certified Registered Nurse First Assistant. This is an RN with 5 years minimum experience in the operating room, an intensive 1 year course specific to first assisting that includes 190 hours of hands on experience, and then the accumulation of 2000 hours of assisting to be able to take the certification exam. 2) CSFA – Certified Surgical Technician / Certified First Assistant. This is a technician who has been specifically trained to pass instruments and maintain the sterile field during surgery. After many years of experience in all types of surgeries, a select few surgical technicians take the next step in their training and education to become first assistants, bringing with them the wealth of experience gained through their technician years. Contact Us Freelance Assistants - Denver, Colorado - Copyright © 2009 All Rights Reserved.